I have 5 polishes to share with you today from the new Autumn De’Lish Nails London Launch that will be happening this Friday, 28th September! 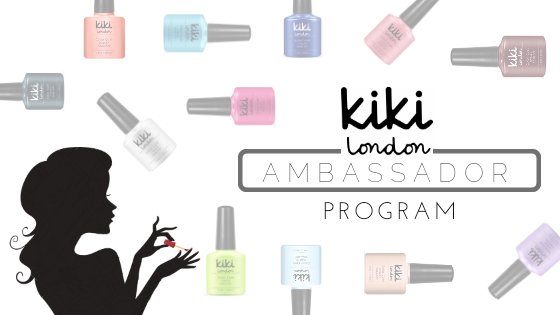 De’Lish Nails London is a UK handmade indie brand run by Elle that is cruelty free, vegan and 10-free. You can find information on new launches and offers on Instagram and purchase directly from the website. I have a 10% discount code for you too so you can save yourself some money: TON10. There’s an awesome mix of colours and finishes so let’s jump straight in with the swatches! Dark Matter This is a matte black polish with gorgeous pink-orange-green flakies! I have used 2 coats here. The matte finish is beautiful but I wanted to try it glossy too so added a topcoat! Whoops-A-Navy You guessed it! This is a stunning rich navy blue creme. It’s super glossy and is highly pigmented – this is just one coat! It looks great matte too (if you ignore the bubbles from my matte topcoat…). Pumpkin Spice This copper glitter with scattered holo is absolutely stunning and is going to be worn a lot during autumn – even the name is perfect. This is just 2 coats painted on rather than sponging so it has very good coverage! Ravishing This is a very pretty cool-toned purple to dark grey gradient, which has 3 colours! Grey is the cool state and lilac is the warm state. It even has added sparkles! This is 3 coats. Inferno This polish is perfect for autumn – yellow, through orange to red, warm to cold. It even has lovely gold flakies in it that give it real depth. This is 3 coats. There we have it! All 5 autumn polishes from De’Lish Nails London. These, along with some other shades will be released on Friday 28th September. Prices will start at £6 and don’t forget to use TON10 for 10% off on delishnailslondon.com. Danglefoot Nail Polish: a haul!